Nitrous oxide (N2O) cylinders for engine performance enhancement. 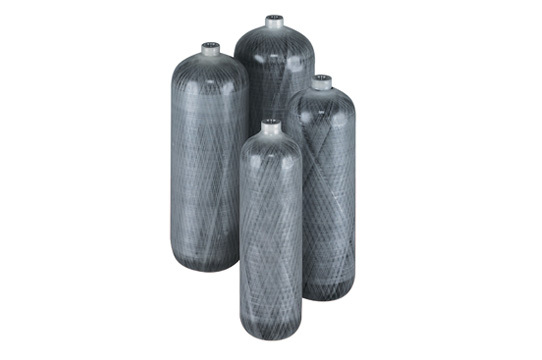 Nitrogen cylinders for tire inflation. 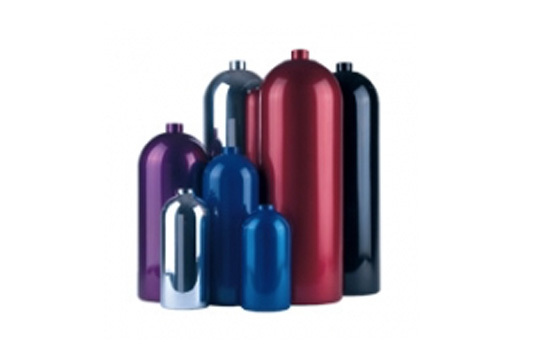 CO2 cylinders for fire suppression. Both types of Luxfer performance racing cylinders come with a 15-year product warranty. Aluminum cylinders are made from Luxfer's L6X® alloy, a proprietary, specially balanced aluminum-magnesium-silicon formula exclusive to Luxfer. Carbon composite cylinders feature lightweight aluminum liners wrapped with ultra-strong, durable aerospace-grade carbon fiber. Luxfer performance racing cylinders meet or exceed all recognized international standards. Custom and standard paint finishes are available. Luxfer aluminum cylinders are manufactured from L6X®, a proprietary formula of aluminum alloy 6061-T6 developed by Luxfer metallurgists to provide superior corrosion-resistance and dependable performance in the most demanding racing environments. Luxfer carbon-composite cylinders feature aluminum liners wrapped with super-durable, aerospace-grade carbon composite fiber. Should I be doing anything different for my aluminum alloy 6061 composite cylinders than I have done in the past? Are special coatings needed to protect aluminum cylinder interiors from tap water?